It's another anniversary round of The Seasons Story! I made meowls, because everyone is fond of owls (except for Simon Cowel). They are scripted for you to hold them in your right arm (or perch on it! ), or to be worn anywhere else you please with no animation, or to be rezzed (1 Land Impact per owl at the size they start, and they can go a bit larger too before they become more!) 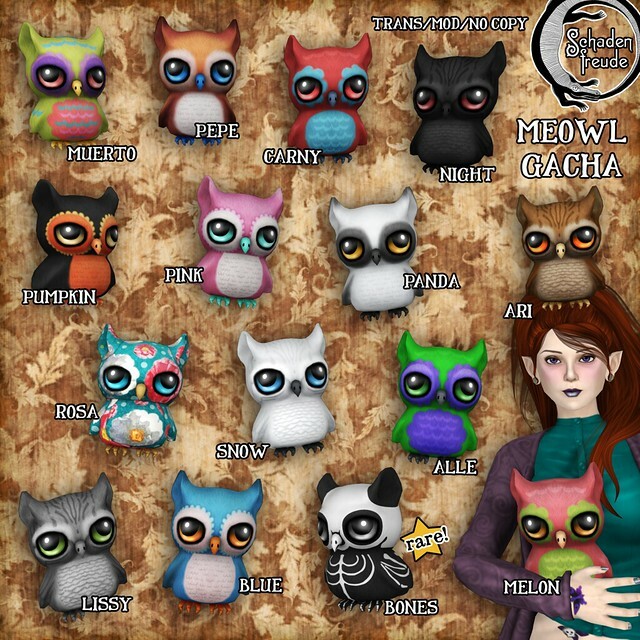 Muerto is a companion owl in a colour scheme to go with the Muerto from ~silentsparrow~'s Spooky Cutie gacha set, and of course Carny, Alle, and Rosa go with various other releases from both of us! As it is an anniversary round, there are also special things awaiting for you there! 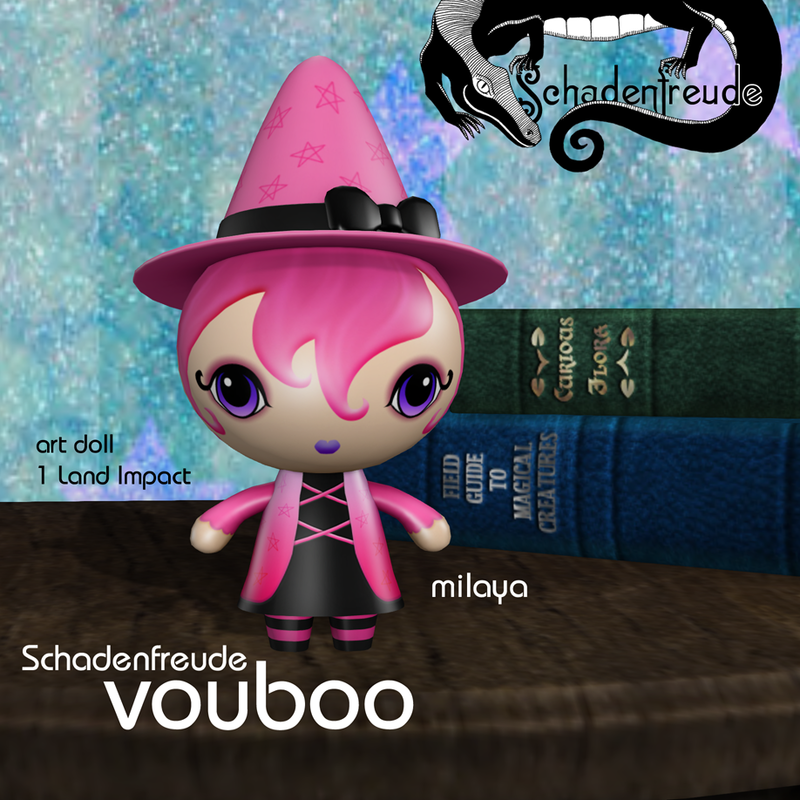 I also made new Devilish wings, which are half off for the anniversary. Texture change with 12 options. The Seasons Story is open until October 31.